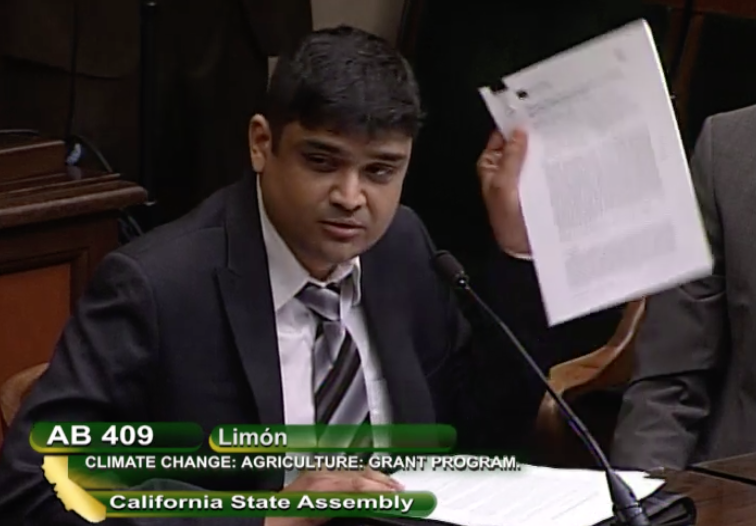 SACRAMENTO – Assembly Bill 409, the CalCAN-sponsored Agriculture Climate Adaptation Tools bill, passed out of the Assembly Natural Resources Committee earlier this week with a bipartisan, unanimous vote. 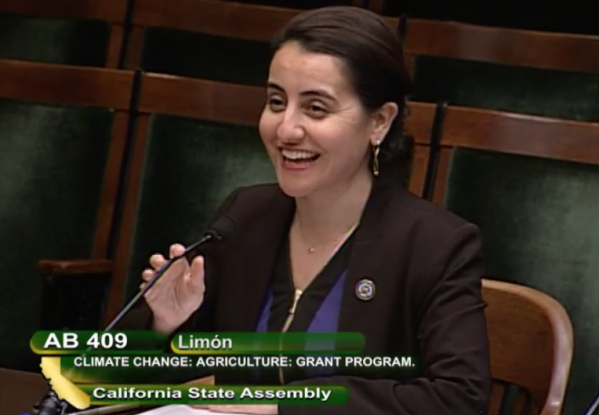 The bill, authored by Assemblymember Monique Limón (pictured above), will fund the collaborative development of farmer-centered climate adaptation decision-support tools, the piloting of those tools in three regions of the state, and trainings on climate risk management. The Ag Adaptation Tools bill is inspired, in part, by 12 listening sessions CalCAN held last fall across the state with farmers, ranchers, and the technical assistance providers who work with them. The stories we heard in those focus groups underscore how farmers and ranchers are already experiencing the impacts of extreme weather and other climate threats. For example, one young farmer in southern California described to us losing 70% of her chickens and experiencing multiple crop failures during last July’s record-breaking heat wave. We also heard stories of fruit and nut growers in the Central Valley struggling to determine which crops will still be viable with the increased risk of drought and insufficient winter chill in the decades to come. The state and its universities have made significant research investments to better understand agriculture’s unique climate risks and adaptation strategies. A few prime examples include the state’s 2018 Fourth Climate Assessment, the 2013 Climate Change Consortium for Specialty Crops, and the 2012 Agricultural Vulnerability Index. However, our listening sessions revealed that not enough has been done to translate and package that information into practical, accessible tools for farmers and ranchers and the technical assistance providers who work with them. Dr. Tapan Pathak describes the need to translate ag adaptation research into practical tools for farmers and ranchers. To elaborate on the need for such tools, Dr. Tapan Pathak provided expert testimony at the bill’s hearing. Dr. Pathak is a Cooperative Extension Specialist based at UC Merced within the UC Division of Agriculture and Natural Resources and the lead author of a highly informative 2018 Agronomy paper: “Climate Change Trends and Impacts on California Agriculture: A Detailed Review.” Dr. Pathak is also currently engaged in multiple projects with county farm advisors to study the impacts of climate change on some of California’s highest value crops and to support growers in making strategic decisions and long-term investments. With its passage out of the Natural Resources Committee, AB 409 now heads to the Assembly Appropriations Committee. We will post updates on our blog about the bill’s progress. This bill is just one of CalCAN’s policy efforts to ensure California farmers and ranchers have the resources they need to remain resilient and viable in the face of climate change. If you would like to learn more about or support this bill and our other efforts, let us know. Send an email to Brian(at)calclimateag.org.